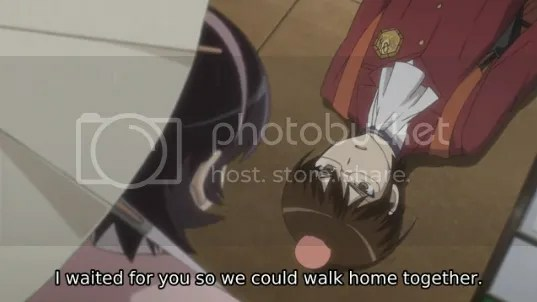 Keima creates a plan to walk home with all five girls after school, though that plan quickly goes awry. 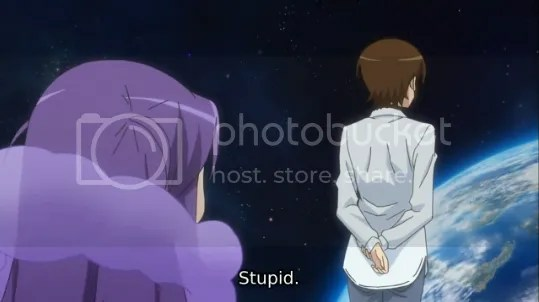 Still, Keima somehow manages to make time for all five girls and is able to increase his relationship with all of them somewhat. That Sunday, just as he’s about to go see all five girls again, Nora unexpectedly shows up. She says that there are new orders from Hell: to seek out the humans that hold Goddesses within them. Keima orders Haqua to stay and find out more information, while Keima sets out to conquer all five girls yet again. I laughed way too hard at this part. 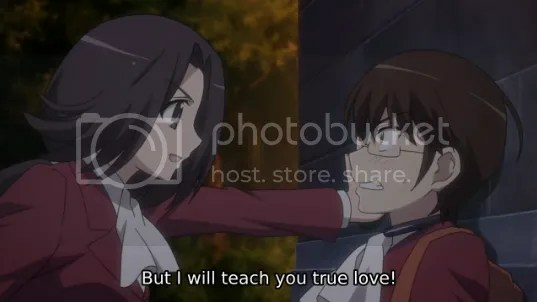 I forgot how much I loved Keima. As cute as this scene was, the shojou bubbles pushed this over into “cheesy” territory. This is how authors vent. The TWGOK anime continues at its fast-pace, though at least it’s just as coherent as it was in episode 2. I’m pretty sure several chapters were condensed into this one episode, yet it didn’t feel rushed at all. This makes me sad that the past two seasons of the TWGOK anime weren’t like this. But whatever; what’s past is past. 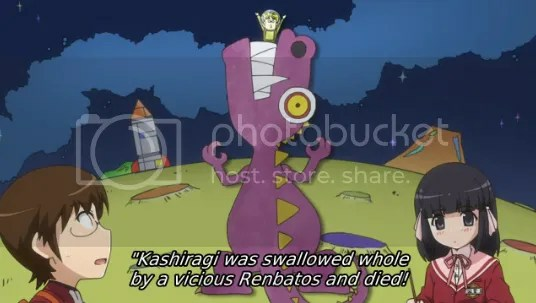 I don’t really have much to say about this episode since I already read through this scenario in the manga. 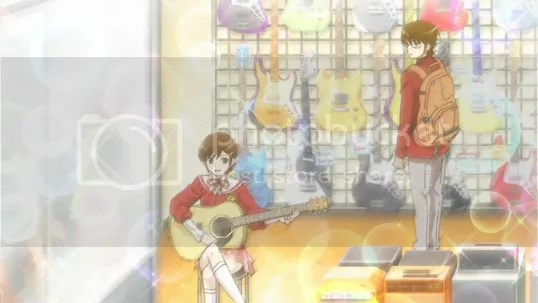 I do like that they portrayed the scene between Keima and Shiori very well. Keima building up a relationship with her through writing had always struck me as being very sweet. And Yui’s appearance was absolutely amazing. Yui’s interactions with Keima are basically why I love her so much. Overall, after its initial bad episode, the TWGOK is shaping up to be pretty good. The animation is still pretty high quality and the story is continuing to get more convoluted. Sadly, I don’t really have the time to take on so many series so this one gets the axe. See you guys again with a TWGOK review after TWGOK has finished airing! “Yui is basically amazing”. No truer words have ever been spoken.